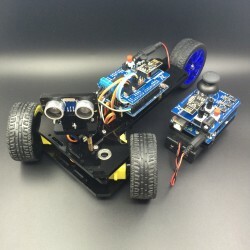 Arduino controlled 3-Wheeled car - DuinoKit - Educational Electronics Learning Kits. This 3-wheeled can be used either as a remote controlled or as an autonomous (Self Driving) vehicle. 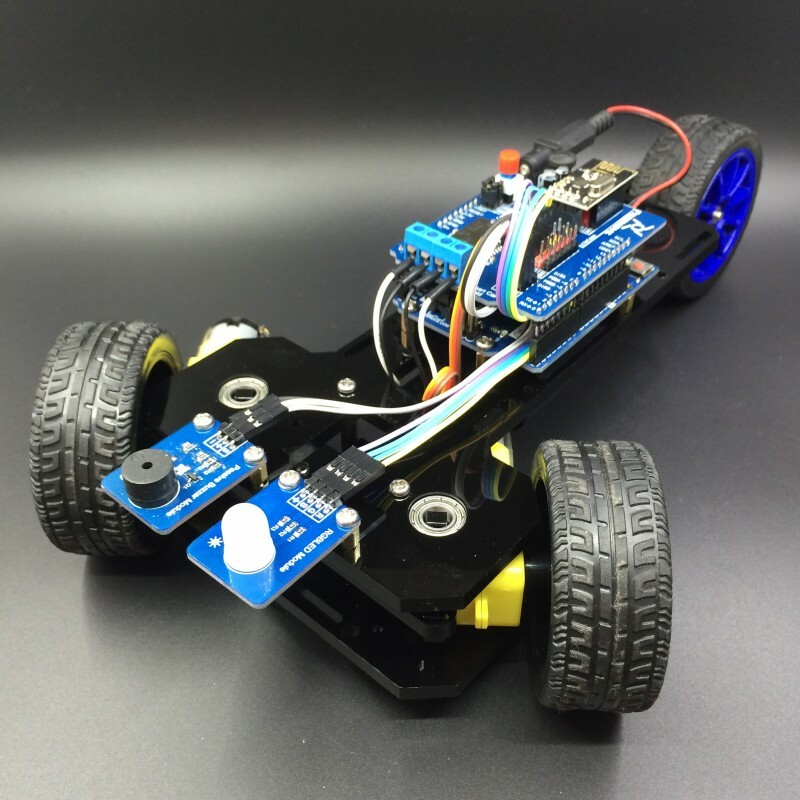 Since it is Arduino based, you have access to code and and reconfigure and reprogram the vehicle as you wish. All building and programming is supplied and this kits include 4 5000MHa batteries and chargers. Do you want a cool smart car? This kit can meet your demand nicely. Using this kit, not only can you assemble a smart car, but you can make it work in two modes: remote control mode and automatic driving mode. 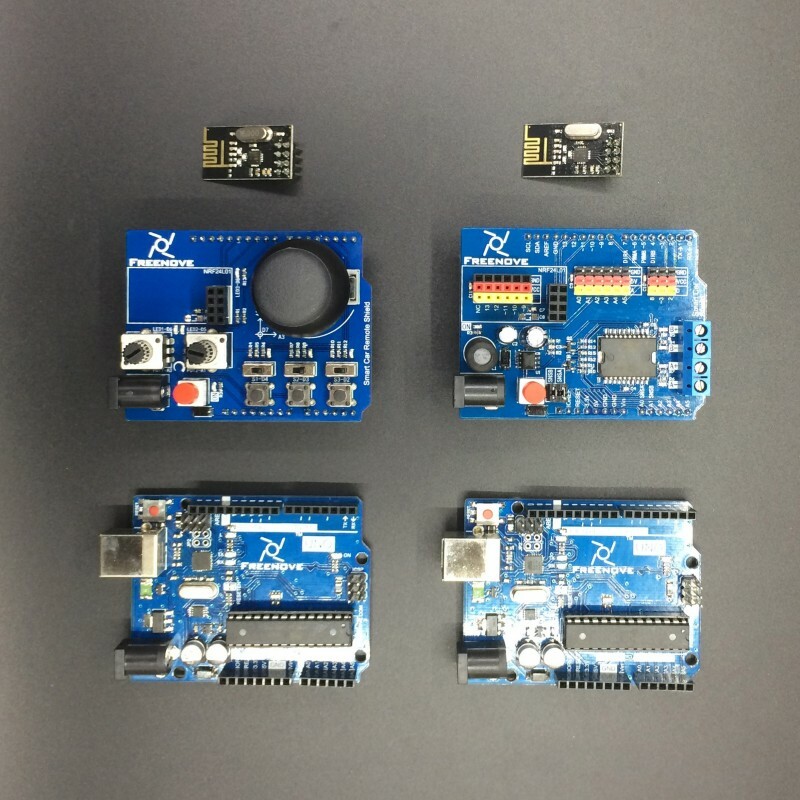 This kit is based on the open-source Arduino, and simplify the circuit connection with dedicated expansion shield. And it is accompanied by a very detailed tutorial for assembly and use. So, even if you have little understanding of programming and electronic, you can also complete the assembly and manipulate it easily. You can assemble and manipulate a very cool smart car, which is completely different from any other smart cars. Its structure is well-designed, and its appearance is avant-garde. 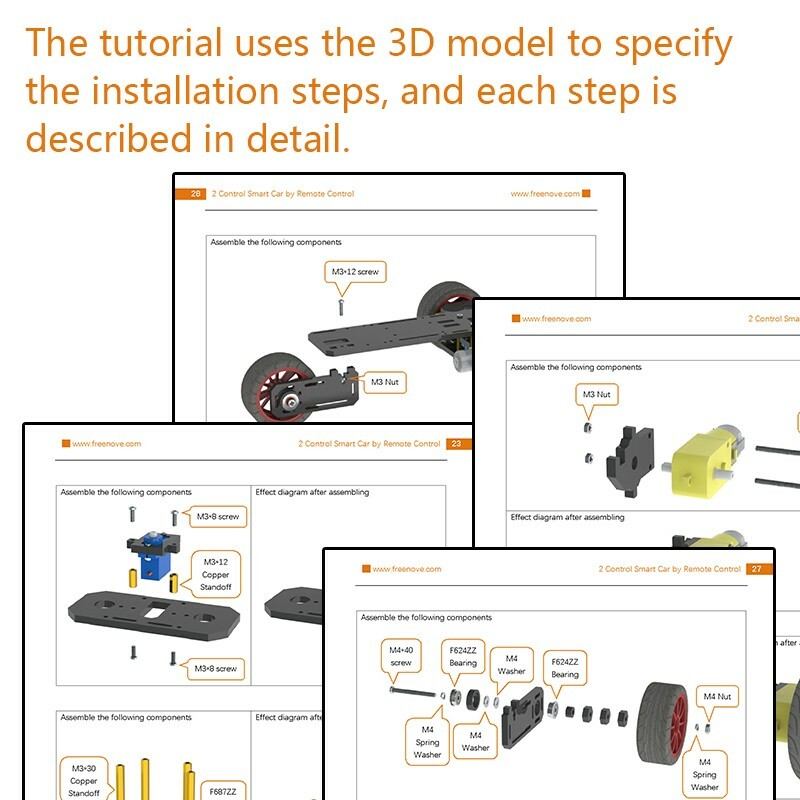 The tutorial uses the 3D model to specify the installation steps, and each step is described in detail. The circuit connection in this kit is simplified by dedicated expansion board. So you do not have to worry about the complexity of wiring. Even if you have little knowledge of electronic circuit, you can complete the connection easily. 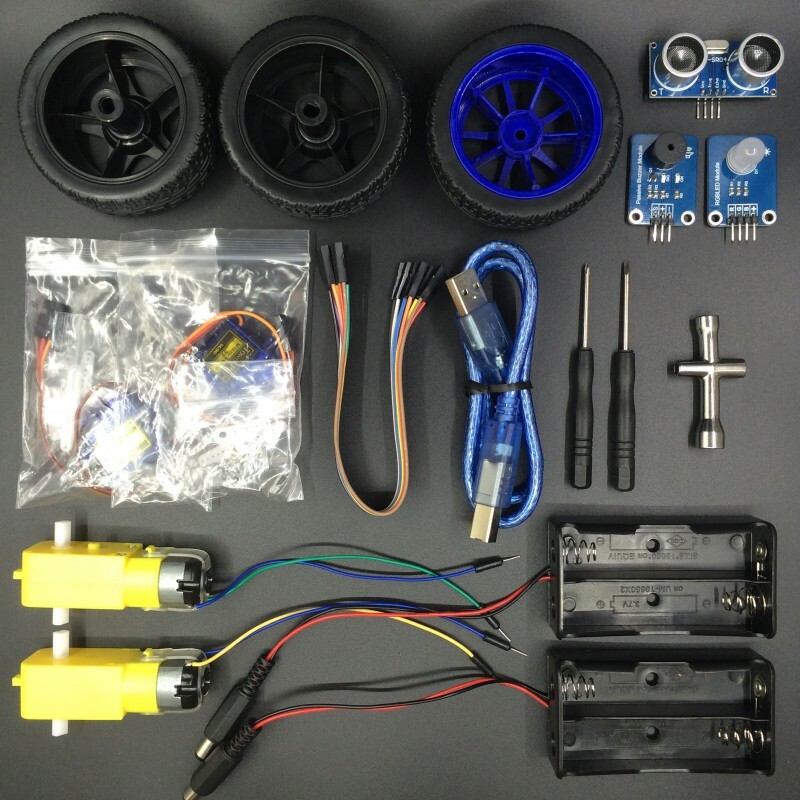 This kit is based on open source Arduino, and it provides complete code. So you can quickly make the smart car to run by using the code. Additionally, you can complete your ideas through changing the code to in the future. The tutorial contains the introduction and use of Arduino. Users with little understanding of the Arduino can also complete the manipulation of the smart car easily. This smart car can work in two modes: remote control mode and automatic driving mode. When this smart car is under remote control mode, you can use remote control to manipulate it. Through shifting the joystick on the remote control, you can control the direction and speed of the smart car. Through the installing electronic modules provided, you can also control the horn and light flashing of the car. 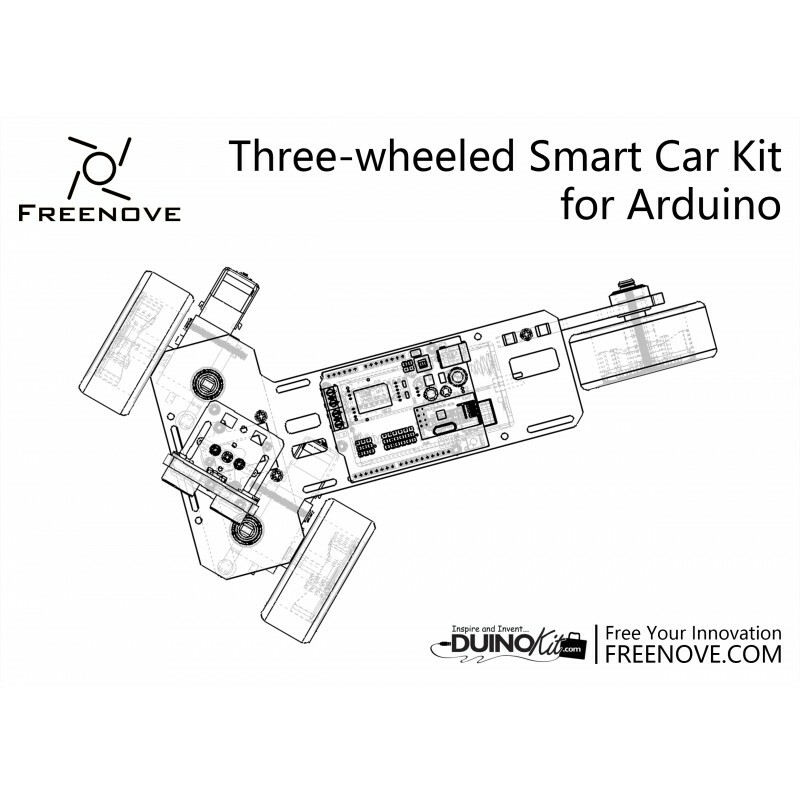 Electronic modules of Freenove specifications are unified and can be installed in this smart car. So you can buy other electronic modules to achieve your creativity. Click to view all compatible modules. When this smart car is under automatic driving mode, it is driven with the aid of pan-tilt, which make the ultrasonic ranging module to probe the environment to avoid obstacles. So automatic driving mode can work. 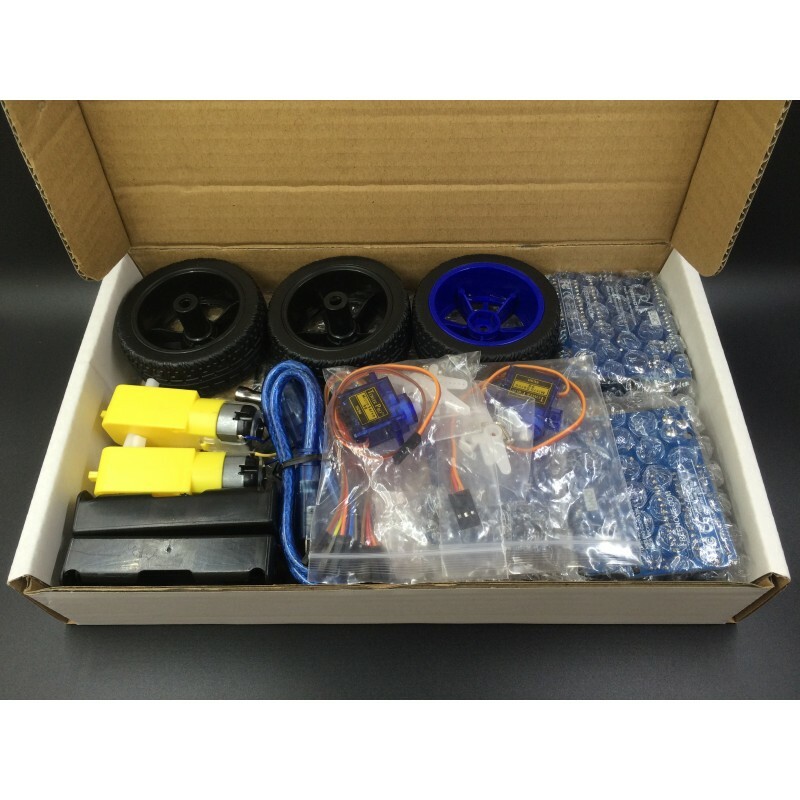 The kit contains all the items needed to assemble the smart car and the remote control. Components in this kit is packaged individually. The names and pictures is attached on the package. 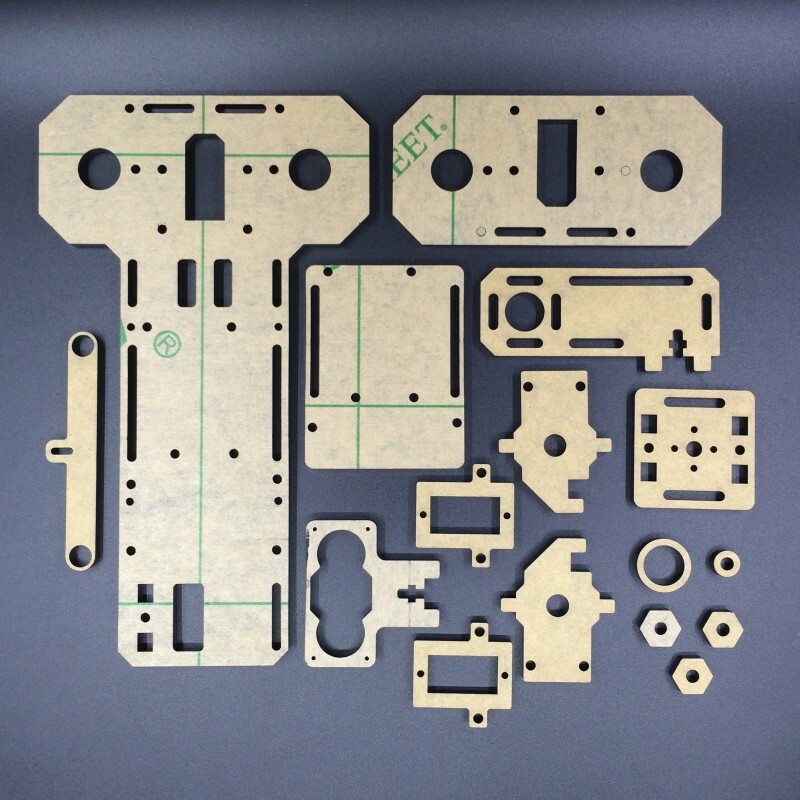 So, even if you don't recognize these components, you can also find them easily. We provide quick and free technical support. And we would like to solve any problems you encounter at any time, including the problems outside this kit. Please feel free to contact us. Detailed tutorial (PDF), sketches(code). Click to view and download Now. Quick and free technical support.